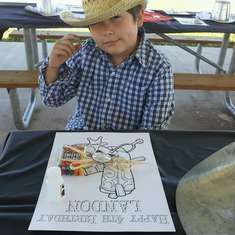 Landon loves pretending to be a Cowboy but most often times he is the Sheriff. 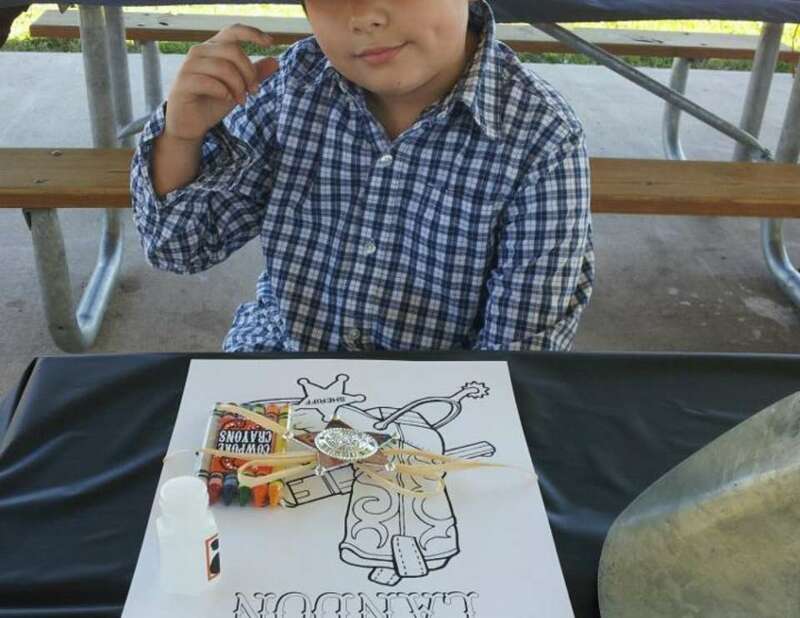 He was getting ready to turn 4 and wanted to have a Sheriff Themed Birthday Party. 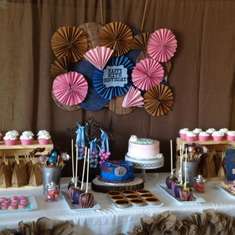 I was extremely excited when his mom, Stephanie contacted me to plan and style his party. After getting the details from her I immediately started planning away. I had already known that Landon's parents were huge Oklahoma State Cowboy Fans so there was no question when it came to colors. 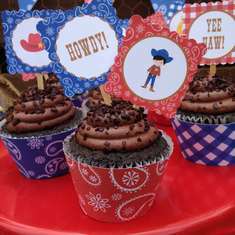 With my primary focus on a western theme I knew I needed bandanas, cowboy hats and boots. I designed coordinating printables with orange bandana and cow print for the set up. I found the "Jail" backdrop prop at a local party store; Party Galaxy. Everything coordinated perfectly and came together nicely with the western theme. 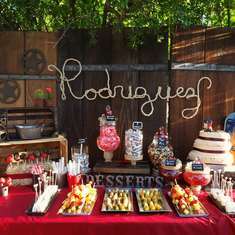 It was a fun party set up to plan and style!